Q. 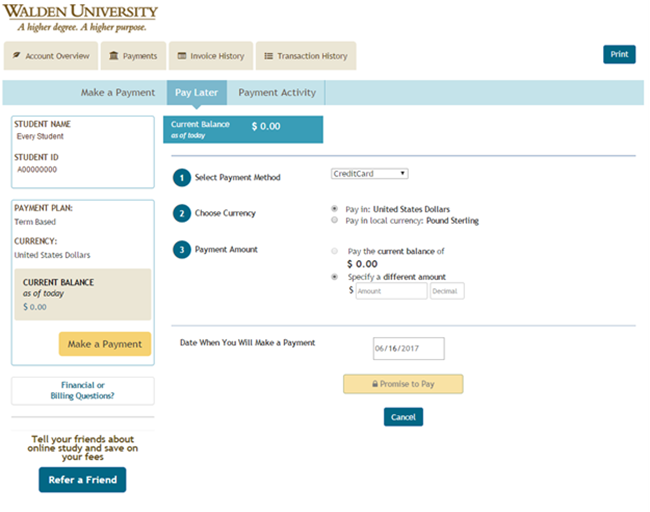 How do I promise to pay my invoice as an international student? 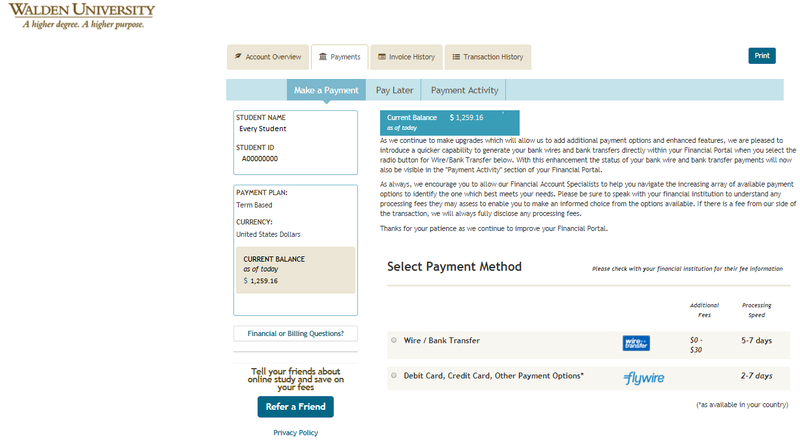 In the Pay Later screen shown below, you will be able to choose your payment method, currency, amount and the date you intend to submit your payment.